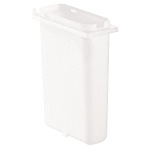 The Server 83182 slim fountain jar comes in white to make it easy to identify light-colored product. 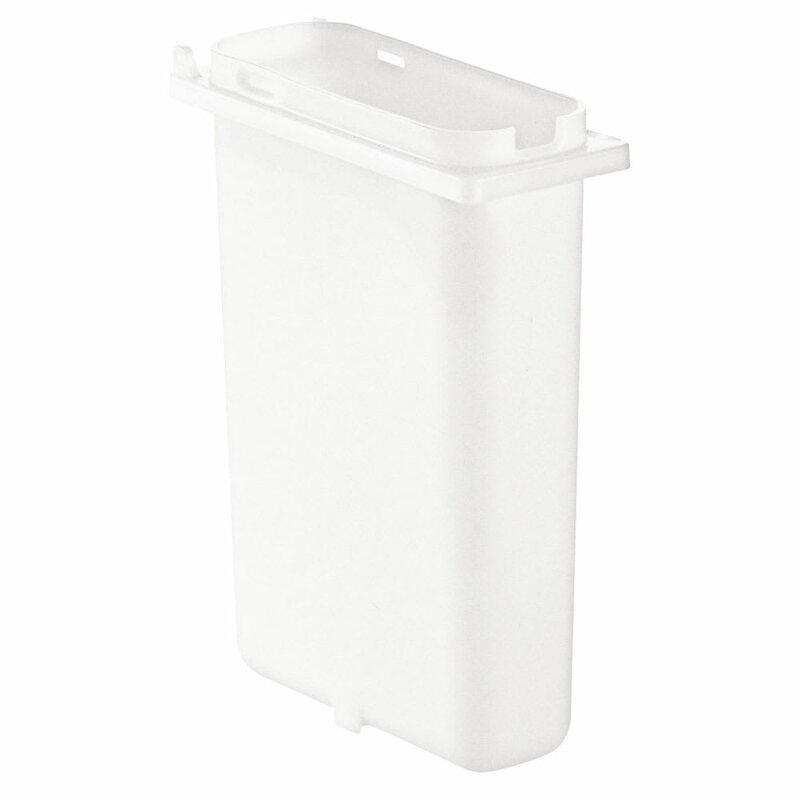 This jar has a 2-quart capacity and is constructed of polypropylene for impact resistance. 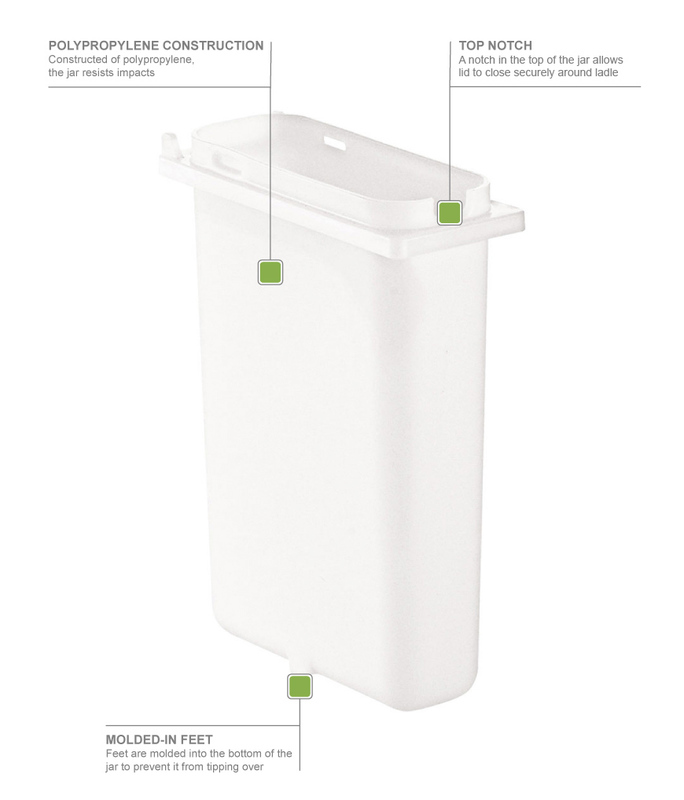 Feet are molded into the bottom of the jar so it stays level when being filled and it has two tab holes that allow for use of a lift-up lid (separate purchase). A notch in the top of the Server 83182 slim fountain jar allows a lid to close with the ladle in place to protect product and keep area around station clean.